Like It Like That. 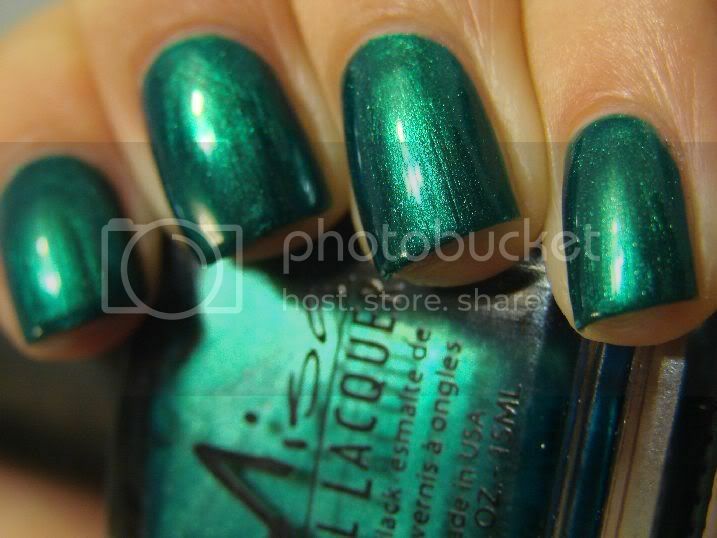 Bright, zingy metallic green with just a slight blue duochrome. So gorgeous. 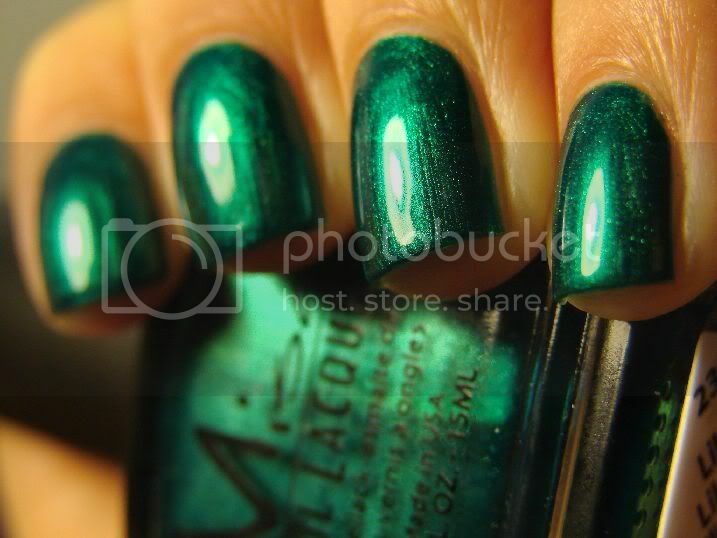 Didn't look like much in the bottle, but it really glows on the nail.